Background - IEC 60079-14:1996 Edition 2 included a selection chart which was taken directly from BS 5345-3:1989. Subsequent editions of IEC 60079-14, up to and including Edition 4 in 2007, retained the selection chart. 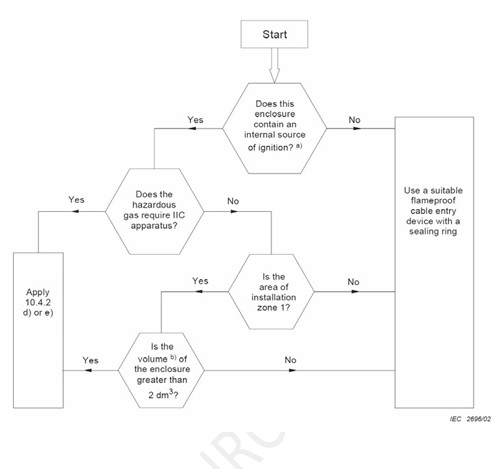 In Edition 5, which was published in November 2013, the chart was replaced with different criteria. The original selection chart was based on research carried out by ERA in the UK in 1975 based upon concerns that repeated ignitions inside a flameproof enclosure could damage the conductor insulation and inner cable bedding, within or immediately external to the cable gland, to such an extent as to cause a fault which could be a source of ignition to a flammable atmosphere surrounding the enclosure. Tape-bedded cables should not be connected into flameproof enclosures, including flameproof terminal boxes, without some form of additional protection (see item d)). Extruded-bedded cables should not be connected into direct-entry flameproof enclosures having net free volumes greater than 2 litres without some form of additional protection (see item d)). Cables connected into Group IIC flameproof enclosures, including flameproof terminal boxes, should be provided with some form of additional protection (see item d)). So based upon this research, the IEC adopted the following criteria to be adopted and published in 1996 along with the cable gland criteria flowchart that many of us have followed over the past 20 plus years. a Internal sources of ignition include sparks or equipment temperatures occuring in normal operation which can cause ignition. An enclosure containing terminals only or an indirect entry enclosure (see 10.4.1) is considered not to constitute an internal source of ignition. So in effect, following this flowchart, the use of a barrier gland as mandated by the standard was limited to applications in which the flameproof enclosure contained a source of ignition (which is a common use for Ex d equipment in housing non-Ex equipment into a hazardous location), was being used in an environment in which it required equipment suitable for IIC gases/vapours regardless of zone or in which the enclosure is being housed into a Zone 1 area in which the enclosure has an internal volume of greater than 2 liters. All other conditions allowed the use of a non-barrier type Ex d cable gland, again assuming the cables being used met the criteria as stated above. flameproof sealing device (for example a sealing chamber) specified in the equipment documentation or complying with IEC 60079-1 and employing a cable gland appropriate to the cables The sealing device shall incorporate compound or other appropriate seals which permit stopping around individual cores. The sealing device shall be fitted at the point of entry of cables to the equipment. The key points here to note is that under the latest standard, the use of barrier glands vs. non-barrier Ex d glands and equipment has changed. 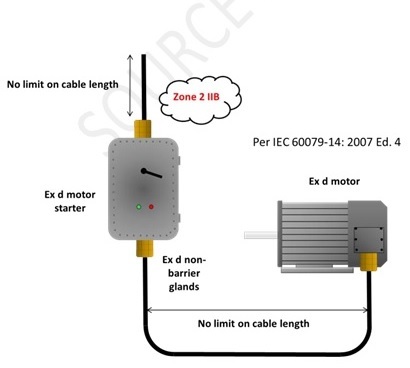 Figure 1: The use of non-barrier glands for direct entry into Ex d enclosures per IEC 60079-14:2007 4th Ed. Note that the use of non-barrier glands are acceptable even into Ex d arcing/sparking enclosures if the environment is Zone 2, IIB. 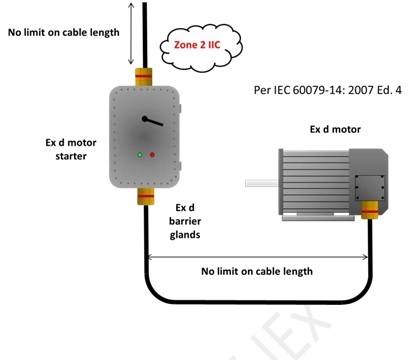 Figure 2: The use of barrier glands for direct entry into Ex d enclosures per IEC 60079-14:2007 4th Ed. Note that the use of barrier glands are required for all Ex d enclosures housing arcing/sparking components in a IIC environment (or also in a Zone 1 IIB if the enclosure volume is greater than 2 liters). 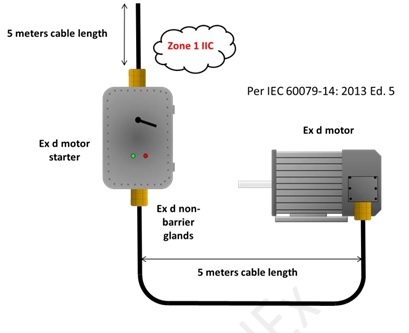 Figure 3: The use of barrier glands and non-barrier glands for direct entry into Ex d enclosures per IEC 60079-14:2013 5th Ed. Note the issue with cable length is now the critical factor of more or less than 3 meters, not the area classification or gas group. 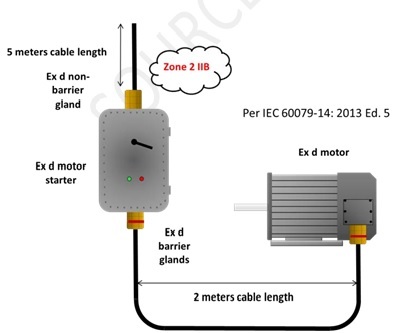 Figure 4: The use of non-barrier glands for direct entry into Ex d enclosures per IEC 60079-14:2013 5th Ed. Note the use of non-barrier glands even in a Zone 1 IIC environment with the connecting cable lengths exceed the 3 meter rule. As you can see from the diagrams above, some of traditional applications where you may find the need for the use of barrier glands has changed while other specific applications have not. Again, as noted previously, the use of barrier glands with Ex d enclosures with non-arcing components under the older standard was not required, but now depending on the cable length, it certainly can be. To to summarize, many of these changes have yet to be implemented by clients as they may still be working under the previous standard(s) or as in the case of the UK, not following the new cable gland selection guideline in the latest version of BS EN 60079-14:2014 10.6.2, but instead following the guidelines by the HSE and the information in the back of the BS standard in Annex NA in suggesting the use of the older ‘flowchart’ as a basis for cable gland selection. Whichever standard or guide to follow, it is important to understand the requirements (of both in my opinion) and just as important, make sure that whatever cable gland selected is installed correctly. As a user, consultant, contractor, inspector or equipment manufacturer, it is critically important now, more than ever, to understand this topic fully in making sure your installation is safe, regardless of which way you proceed.